There are so many roads that can lead someone to becoming a business owner. Some are born into it and are following in their family’s footsteps. Some have an idea or a product that they know would be an asset to others. Some are even lucky enough to be able to turn their passion into a business. What all of these people have in common is hard work, dedication and patience which leads to a successful business. However, no business is perfect and one day you will be faced with a complaint. By learning how to receive, respond, and rectify complaints you will keep your customers happy and your business thriving. Complaints are simply unavoidable, it’s not a matter of IF you will get one but WHEN. However, you can limit the number of complaints you have by being proactive and teaching your staff to be proactive. For instance, if you have a store that is open to the public make sure that both the inside and outside of your business are kept up and taken care of. If an employee sees a spill in an aisle they shouldn’t just turn away or hope someone else takes care of it, they need to take the time to clean it up. If there are holes in your inventory that can be filled then someone needs to fill them. By simply being observant and proactive in all aspects of your business you will avoid numerous complaints. Check your emotions—More than likely the customer who is complaining is already upset so it is extremely important that you remain calm. Becoming emotional or taking a complaint personally is just going to exasperate the problem. Take a step back and take a deep breath before interacting with the customer. If the customer is complaining about an employee then remove that employee from the situation, it drastically lowers the amount of emotion involved. Acknowledge—Everyone wants to feel like they are being acknowledged and listened too, a person with a complaint is no different. Acknowledge them and their complaint no matter how unreasonable they are. You don’t have to justify their behavior, but by simply acknowledging their complaint can calm them down because they believe someone is listening to them and is taking them seriously. Get the facts—Hopefully the customer has now calmed down and you understand their complaint. Now is the time to start a conversation with them and try to get more details. Ask them questions, try to fully understand their complaint and what the exact problem is. Specifics will not only allow you to know the best course of action and how to proceed, it also helps you start a conversation and gain the customers trust. Be accountable—Sometimes the truth can hurt. Most of us don’t like to admit when we’re wrong, but it is a necessary part of business. If a customer has a complaint that is due to something within your control then you need to hold yourself accountable to the customer. Don’t get defensive, instead take responsibility for what happened and apologize. Simply being accountable can assure a customer resolve the complaint. Offer a fair resolution—Resolutions are going to vary just like the complaints you receive. Sometimes your hands are tied on what you can do, but make sure that is explained to the customer. Other times you may offer something that the customer is more than happy with. What’s important is that you provide a fair resolution and that you can walk away from the situation knowing that you did your best to satisfy the customer. 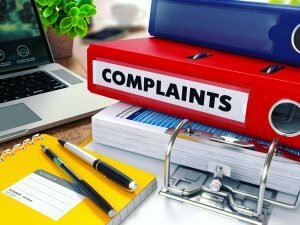 Though the thought of complaints being good seems strange they can offer your business huge benefits. 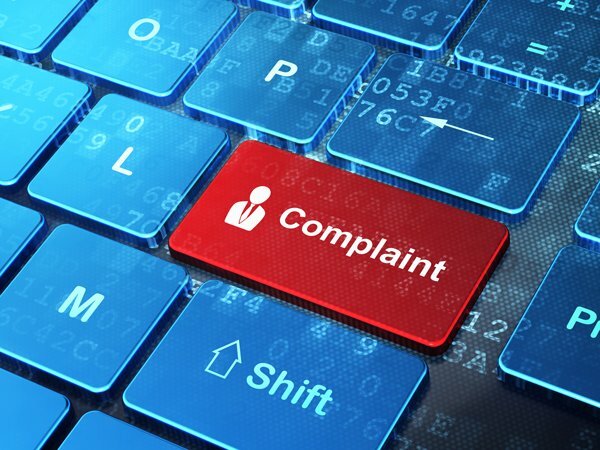 The details of each complaint should be recorded and filed. That way if you continue to see complaints focusing on one area you will know that area needs improvement. You can then use the complaints as teaching tools and learning experiences. Try not to think of a complaint as a negative, instead think of it as a way to improve and make your company better. There are times when you will receive a complaint that does not need fixed. The customer just happened to be having a bad day and needed to complain. However, most complaints are going to be based on fixable problems within your company. Your duty is to once again be proactive. You need to identify the issue and determine a fast, viable solution. Never turn the other way and hope a situation resolves itself, step in and make sure a problem does not reoccur. Complaints should not be ignored and they should not be feared. Instead simply educate yourself and face any complaint you receive head on. Be proactive and develop a way that your business will receive, handle and resolve complaints. If you aren’t sure where to start or get stuck ask other business owners how they handle complaints or turn to the internet. Numerous websites are available that can help you find a way to handle complaints that will work for you and your business.